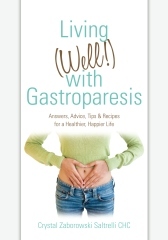 I owe a LOT to Crystal Saltrelli, CHC and her book Living (Well) With Gastroparesis (http://livingwithgastroparesis.com/get-help/books/). I was so lost and alone after being diagnosed with gastroparesis. My GI Dr at that time did not help me and only told me to 5 – 6 small meals a day that are low in fat and fiber. She promised if I did this, I would be all better in a year. Well, I have done this and am going over a year and feel as much pain as I did then. Anyway, I didn’t know what I was to ‘eat’. So I did what any person does in this day and age…. hit the Internet. I slowly began to grasp what the GP Friendly foods were. Then had to eliminate a lot of those due to personal allergies. I looked at my options through my tears not knowing how I would survive on what was in front of me. So, I wondered if any body else was like me. I was already on Facebook at the time to play games and interact with my friends, so I searched for Gastroparesis Groups. I found some and was frightened at what I was reading: deaths, feeding tubes, people unable to manage their pain, etc. What was going to happen to me?! I cried, in private to not scare my husband. Then I found Crystal Saltrelli and her website, then her Youtube videos. There was a spark of hope deep inside of me that I may not die after all. This may not be a slow death sentence. I found she had a book, then looked to see if it was at a store in my town. Of course not! So I ordered it and paid for rush shipping! I could not wait to understand what I needed to do to survive GP! As the days passed, I watched all I could of her videos and followed per page. Each day, I felt like there was hope. The book came and I dove right into it with my highlighter and sticky notes! I was determined to figure out what I needed to get me healthy again, what treatment options there were and what on earth I needed to do to ‘fix’ me! Sadly, there is no cure. But I learned what options were out there, what to eat and most of all to try my best to remain up-beat so I could pull myself out of the funk and get on with my life. From there it just snow balled. My desire to advocate for myself, get a GI Dr that I could trust, then to volunteer for a non-profit (G-PACT) and lastly, to help others like me by doing all I can to spread the word that Gastroparesis exists and needs a cure! I owe all of this to Crystal Saltrelli. If it wasn’t for her, I feel my husband may have had me committed to a white padded room with a vomit bag! I was in such a deep dark place, it was scary. I know that the author may not read this blog, but my heart felt THANK YOU is being said and also HAPPY BIRTHDAY. She was so kind to offer a discount to people on her b-day, so I took advantage and bought her e-book on juicing. I need to learn how and what combos are best. This is my next big step to better health. So far, so good. I have maintained weight, my hair is no longer falling out and I am not vomiting as much. My life is on track of where I want it to be. Thanks Crystal!! My GP Story Part 1 (https://melissagpfight.wordpress.com/2013/06/02/my-gp-story-part-1/) left off with me being diagnosed with gastroparesis after the gastric emptying scan (https://melissagpfight.wordpress.com/2013/06/03/my-digestive-study-gastric-emptying-study/). Well the GI Dr that read the results and did all she could to get me a diagnosis was simply not for me. She didn’t care about her patients in anyway. I was read my ‘results’ and handed a 1 page print out of what gastroparesis is, a copy from the Mayo Clinic. She said this is all that you need to know. Follow this and you will be fine, see me in 6 months if you need any more help. I went home and looked at the hand out. What the heck just happened to me?! I read it and it didn’t tell me what exactly to eat or stay away from. Simply read: “consume 5 – 7 small meals that are low in fat and low in fiber”. Really?! So I began the search on the internet to see what am I suppose to eat and what should I avoid. I read a few things, but nothing much that was helpful. I went into some groups on Facebook and got scared (shitless) with the stories of feeding tubes and death. 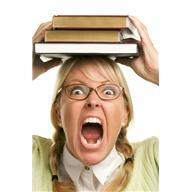 So, I decided to look for books on gastroparesis. I found 2. And neither of which were at my local store. I dug deeper into the newest one and fell in love with what the author was saying and knowing that she too has gastropareis. 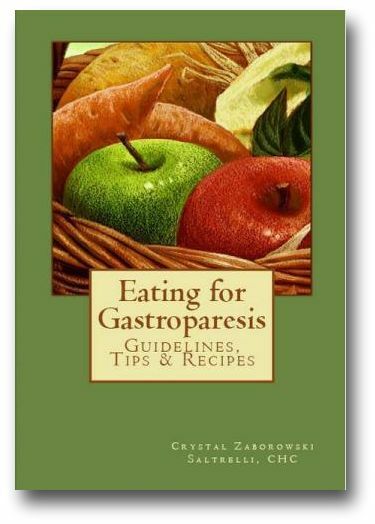 I went to her website and after looking around ordered the book: “Living Well With Gastroparesis”, by Crystal Saltrelli, CHC. I was in so much need for information I paid for the express shipping. In the meantime I was watching all of her YouTube videos. I can honestly say that I learned 1,000 times more from her than from my GI Dr. How said is that? Yet, how great is that, that I knew something about GP and how to ‘fix’ me!! I will post links below. Well 6 months came and went. I changed my diet (foods and amounts) and was still very sick. Vomiting, Nausea, Dizzy Spells, Fainting, Fatigue, Headaches, and the list goes on. So, I went back to the GI Dr. I told her what was going on and what changes I made. I even told her about the book I bought because her hand out was not very good. She said, “I would have bought one too, if I had gastroparesis”. What the hell?! SHE is suppose to help ME!! Not a book. Ugg!! The GI pushed me hard to take Reglan and I said no. She didn’t like being told no and kept at it. I reminded her that I took it during the digestive test and it didn’t go well. She tried to blame the gal that gave me the medication. I told her, no I was given it by IV in a very low does and very slowly. She still didn’t get it. Then told me to order off the internet the drug from Canada instead. I said I would look into it. In the meantime she gave me another refill for GERD medication and told me I better take it, as it is part of the Management Plan I need to follow to get better. I took the order form, but never took the drug. I did in the past even at double doses and it never helped. My third encounter with her was my last. I had gone in after about 3 months and said I was still having problems. And now it is effecting my job. We went over the Reglan (again) and I am still not going to take it, then I wasn’t going to order the Canada drug, so she was getting frustrated with me. She was not about to give me drugs to ease the pain -which was fine. I wanted something for nausea. She told me to get an over the counter Dramamine and I should be fine. So, I stepped out of my box and asked her if she knew of a mental health person I could talk to and who would understand gastroparesis. She looked at me with a blank face and said, no. I began to cry and she didn’t know what to do. Then told me that, ‘oh, this must be hard on you.’ I nodded through tears. Then she said, ‘I guess it is life changing’. Do you think?! Before I left she told me, ‘don’t worry, you should be better in a year. Idiopathic Gastroparesis generally goes away in about 12 months. You will be fine’. That was my last GI Dr visit to her! And I have the nerve to tell her it has been over 12 months and I am still sick, lost my job and am still having problems. But, I know she will not care, nor will she listen. I do have a new GI Dr that I love!